Jane Austen is arguably the finest female novelist who ever lived and Pride and Prejudice is arguably the finest, and is certainly the most popular, of her novels. An undoubted classic of world literature, its profound Christian morality is all too often missed or wilfully overlooked by today's (post)modern critics. 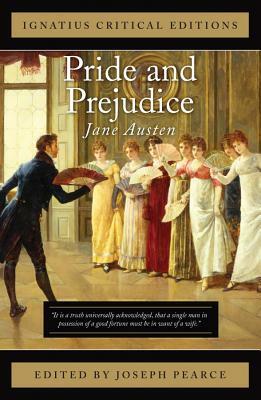 Yet Austen saw the follies and foibles of human nature, and the frictions and fidelities of family life, with an incisive eye that penetrates to the very heart of the human condition. This edition of Austen's masterpiece includes an introduction by Professor Christopher Blum and several insightful critical essays by leading Austen scholars. Jane Austen was an English writer who penned six famous novels about love and class in the eighteenth century. Her works have been studied, performed and read for almost 200 years and still maintain a relevance and wisdom in today's society.